Elon Musk has garnered some backlash for his efforts to rescue a youth soccer team that was trapped in a Thailand cave for over two weeks. The SpaceX, Tesla, and Boring Company CEO has clapped back against his critics on Twitter, insisting that his plan to participate in the relief efforts were substantive and not just an opportunistic PR campaign. When news of the Wild Boars soccer team's plight became a national media circus, Musk got involved, sending a team of engineers and a miniature submarine with the aim of shepherding the 12 boys and their 25-year-old coach through rising flood waters that marooned them deep inside the cavern for two weeks. 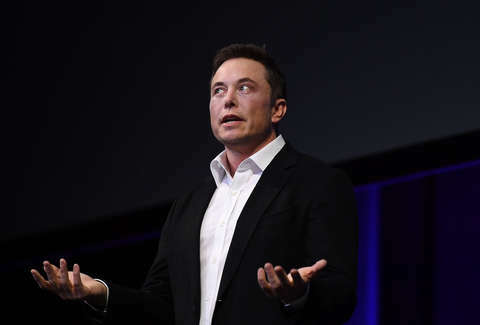 Musk's device, while tested and assembled from SpaceX rocket materials, became a side note in the narrative as the boys were rescued by Thai Navy SEALs in a dangerous operation that saw one rescue diver die. Musk, who was thanked for his gesture by Thai Prime Minister Prayut Chan-O-Cha, still questioned the media's portrayal of his involvement. Specifically, the billionaire impugned reporting that credited rescue chief Narongsak Osatanakor with statements calling the submarine "not practical" for the mission. The Musk fandom also pounced on the discussion, with one Twitter user writing: "The hatred being spewed about @elonmusk is ridiculous. Any engineer always needs a backup plan. He tried to help in the best way he knew how, and I commend him mightily for it." That sentiment was echoed by an incredulous Musk, who noted that any criticism he endured had "shaken my opinion of many people." In the Twitter melodrama that ensued, Musk memes were born, throwing flammable trash on an already smoldering dumpster fire of ego and schadenfreude. But hey, at least those boys are safe, right?